For our first post-Wiscon gathering, Think Galactic once more filed into the Upper Chambers of Myopic, this time to discuss N.K. 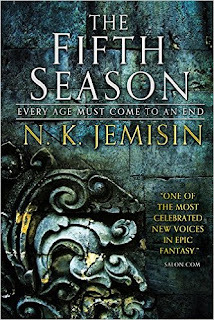 Jemisin's "The Fifth Season". 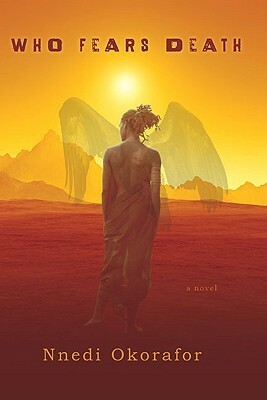 Jemisin's novel has been getting a lot of well-deserved recognition (shortlisted for the Nebula & Hugo awards, among others). 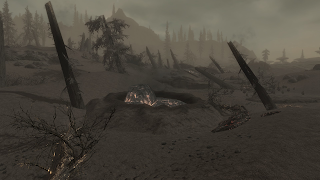 It's set on a world beset by cycles of cataclysmic natural events, where humanity has only survived by a combination of "prepper" culture and the magical abilities of "orogenes", who can control seismic events. 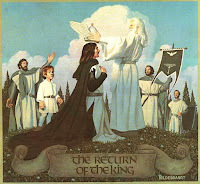 Through three different storylines, "The Fifth Season" explores this world and the way the orogenes have been oppressed. Spoilers below! We started off the discussion with an extended Wiscon recap, actually (you can find my notes here). What a blast! Hoping to make the Think Galactic party a recurring event. Also we grilled Elijah for a while about his solarpunk panel, which is a genre we'd like to see more of (kind of like eco-savvy cyberpunk, looking at how we can use technology of all kinds to build more optimistic futures, rather than thinking of the future as unavoidably dystopian. But! "The Fifth Season!" We all really enjoyed this. It's a page-turner. Someone described it as "all the guilty pleasure with none of the guilt". I again brought up my minor gripe with the plot--for such a long novel, it really doesn't wrap up any of its major threads. By contrast, we compared it to the "Inheritance" trilogy, where each volume is much more self-contained. But we praised the writing style, the rich description, and the surprisingly contemporary/informal language: almost the direct opposite of the attempt to create a "high" tone in fantasy, through the use of semi-archaic terms and formal diction. "Wow. Just, wow" being a bit of internal monologue I remember as an example of that. Leading us to our next question: "What even is epic fantasy?" We talked about the traditional portal/quest-y kind of epic, the film-influenced use of "epic" to mostly mean "lots of big battles or world-threatening things", the relation to actual epics like Gilgamesh or the Iliad. Picking up on an idea from the Samatar panel at Wiscon, we talked about the idea of "Tolkien being the language of the oppressor"; that is to say, only presenting one, unchallenged narrative and view of the world, from the dominant perspective. Here, Jemisin gives us the narrative of the oppressed, of stories that have been suppressed. The stories "you don't see in Harry Potter", as someone put it. "Chainmail bikinis, and Aragorn will be king,"
Coupled with the inclusion of a diverse cast--people of many different racial and sexual identities--that's what makes this such a "guiltless pleasure" for us. It's still a gripping read, we just don't have to make excuses for the sexism, racism, etc. that often crop up in these kinds of tales. And we really liked the extent to which diversity was just there without the book having to be about that; it just fails to ignore diversity in a laudable way. I forgot to bring up the concept of "Chekhov's Lesbian" that I'd recently been reading about--the fallacious idea that any minority character must be "for" something in a plot. Binof/Tonkee, for example, are there to be that character--her transition is not ignored or irrelevant, but it's also not what her story is about. It's just who she is. We also really dug the Alabaster/Syenite/Innon relationship, the two-and-a-half-some, compared to relationships in "Dhalgren". Talked for a long while about the mechanics of the world, including my "disbelief dial mechanic" that I'd tried to articulate at the Chicago Nerds discussion--essentially, that this book feels very real, not an "anything goes, don't try to extrapolate everything realistically" type of fantasy (think I used "Earthsea'" as a counterexample), but I run into disbelief issues once I start extrapolating. Mainly two points: 1.) that human society could survive multiple bouts with this level of catastrophe (sun blocked for a decade, for instance), and 2.) that orogenes could be so universally and malevolently hated when they get a chance to demonstrate their worth so often. On that last note, particularly the scene where Essun's neighbors try to kill her IMMEDIATELY AFTER their village has been saved from total destruction by orogenic intervention. "This person is the only reason we're alive, and our only chance to stay alive, and we've known her for a decade, but a centuries-old story about one murderous orogene is more important than staying alive, so kill her immediately!" Really? However, while a few folks had similar disbelief-juggling experience, others pointed out the similarity to how we're our society is currently grappling with immigration issues--often painted with a broad hate/fear brush despite the many ways they're relied on. And it was also pointed out that, in-world, there are places like the island societies where roggas are accepted and valued, and also that we haven't yet seen the whole apparatus of how the popular hate is maintained and encouraged. 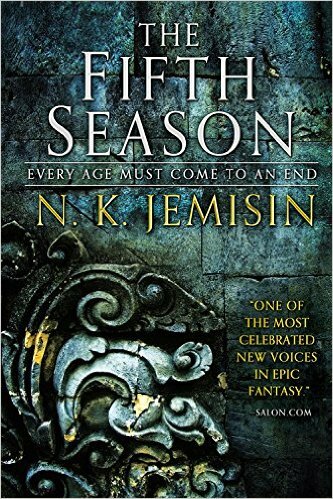 Also, the question of how to read skeptically to read this, coupled with our discussion of what "epic fantasy" is led us to talk about genre "rules" and format, wondering if this is even fantasy at all. Does fantasy have to have magic? 'Cos this might be a far-future earth tale that's wholly natural. We're really fascinated/creeped out by the Guardians, and want to know more about how they work. leads to some Fifth-Season-like cultural adaptations. That took us into a brief digression about superheroes--specifically the "X-Men" series as a metaphor for racial oppression--and the "Dragon Age" influence on "The Fifth Season". Nobody else has played, alas! I maintain that a Bioware game would make a good Think Galactic text for discussion if we could figure a way to make that work. More serious talk about the themes of trauma and recovery, and the idea of the end, not just of the world, but worlds plural--of certain kinds of events, especially deaths and relationships ending, are the closing of chapters in your life, with something new afterwards. By the time we realize that the three narratives in "The Fifth Season" are the same woman, Essun/Syenite/Damaya has had to go through at least three major traumas and subsequent re-self-creations. Ralph Ellison's "Invisible Man" (1952); by the way check out the Ellison/Gordon Parks exhibit at the Art Institute. Great discussion, great book! Next time, we're reading "Blindsight" by Peter Watts. Keep up with Think Galactic on their website, Facebook, and Goodreads.